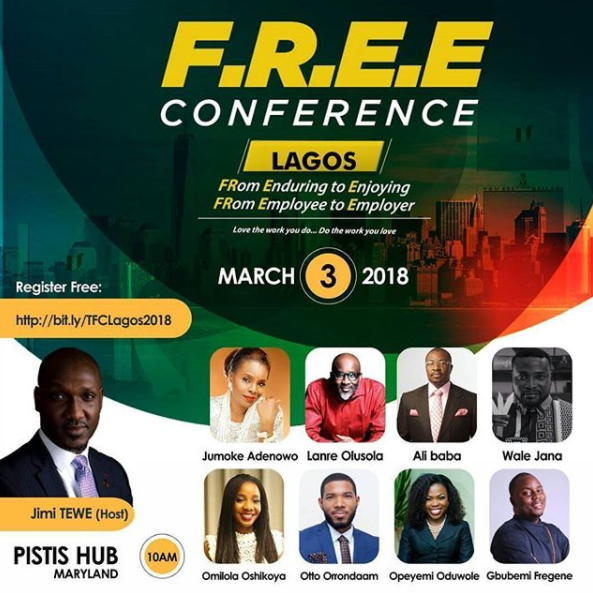 The Jimi Tewe Company presents The FREE Conference 2018, beginning in LAGOS! The Life, Career and Business Conference impacted over 10,000 people in 2017 and this year is no exception – It promises to be BIGGER and a whole lot BETTER! The FREE Conference, an acronym for ‘From Enduring to Enjoying; From Employee to Employer’, pushes you to Love the Work you Do and to Do the Work you Love. The objective of the conference is to challenge working professionals and business owners to strive toward exceptional performance at the jobs and businesses they have responsibility for and use this as a driving force to improve personal productivity, organizational productivity and ultimately, national growth. The previous editions of the ‘The FREE Conference’ which has held in Lagos, Abuja, Ibadan, Port Harcourt, Calabar and Uyo in 2017, respectively had over 1300 participants at each state and there have been positive feedbacks from participants and several organizations regarding the impact of the conference. This year’s first edition, scheduled to hold on the 3rd of March 2018 at the Pistis Hub, Maryland by 10am prompt, is positioned to attract over 2000 attendees with the single aim of contributing to the development and emergence of excellent professionals in the workplace by inspiring them to enjoy rather than endure their work. Together with the Host, Jimi Tewe, other amazing speakers to look out for at the conference are Jumoke Adenowo, Alibaba Akpobome, Lanre Olusola & Wale Jana. Panelists include Gbubemi Fregene (Chef Fregz), Omilola Oshikoya, Otto Orondaam & Opeyemi Oduwole. This particular edition will focus on getting you empowered to face limiting fears in your career and businesses. It will also help in understanding strategies to becoming outstanding in your field. It will be Purpose taught in a way you have never experienced. Mark your calendars now and plan to be there. 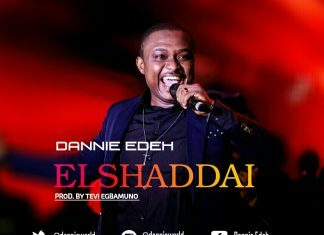 Stay tuned to Praiseworld Radio for exclusive gospel content all day, everyday.